Game between the Buffalo Bills and the Jacksonville Jaguars was an online exclusive for Yahoo. If you tried to catch last Sunday’s London-set football game between the Jacksonville Jaguars and the Buffalo Bills on TV, there was a reason why you missed out: it was the first-ever NFL game to be almost exclusively broadcast—or rather, streamed—online. Granting the rights to Yahoo in a landmark partnership, the NFL’s latest experiment with streaming content could mark a turning point in how we look at online video. "Broadband and Internet distribution has gotten to a critical place where it can support an NFL game," Brian Rolapp, the NFL’s executive vice president of media, told Adweek. "One of the reasons we're there is to see if this could be viable distribution for more than one game." That would be good news for Yahoo, which reportedly paid $20 million for streaming rights. They launched a standalone website ahead of the game (which will be distributed over a number of channels, including Yahoo, Yahoo Sports, and Tumblr) and scheduled a 90-minute, Dairy Queen-sponsored preshow—further blurring the line between digital distribution and traditional, televised broadcast. It could also be good news for anyone who works with streaming technology. According to research firm Parks Associates, 58% of broadband-enabled homes in the US subscribe to at least one over-the-top (or Internet-based) media service, like Netflix or Hulu. And while there’s no predicting whether the continued rise of streaming content will translate into concrete job growth, exclusives like sports games could spur demand for workers with a background in online media platforms. Within that niche, there’s already a broad cross section of career paths, from developers building online video tools to engineers and product testers working with devices (like Roku or Apple TV) that let you watch streaming content on your television. The field also draws in professionals working in traditional media roles, like writers, producers, and production crew. Meanwhile, sites like Twitch let users monetize their social followings by charging for subscriptions. While it’s unlikely that the NFL will commit to streaming technology at the expense of broadcast, it’s spent much of 2015 flirting with digital formats. 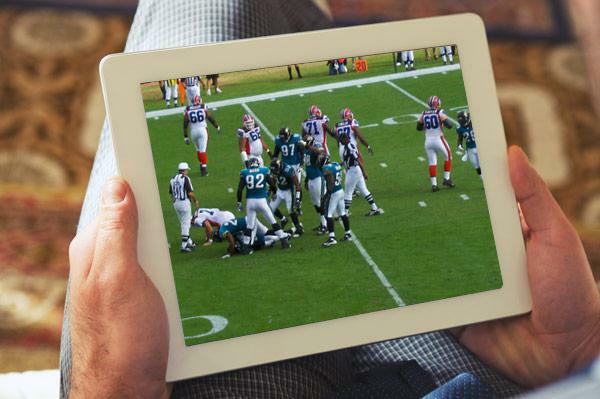 Earlier this year, it allowed CBS Sports to live stream two regular season games, while its NFL Game Pass app (debuted for the 2015 season) lets users replay games on demand. Find a streaming media job on Monster.